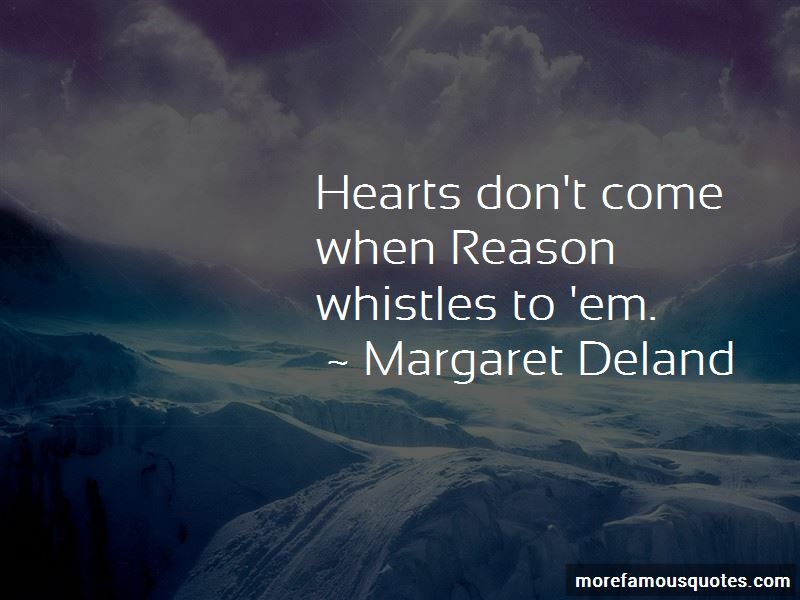 Enjoy the top 86 famous quotes, sayings and quotations by Margaret Deland. Perhaps there is no conceit so arrogant as the conceit which follows a conviction of emancipation. and then blame the clay when the whole image falls into dust? When personal happiness conflicts with any great human ideal, the right to claim such happiness is as nothing compared to the privilege of resigning it. 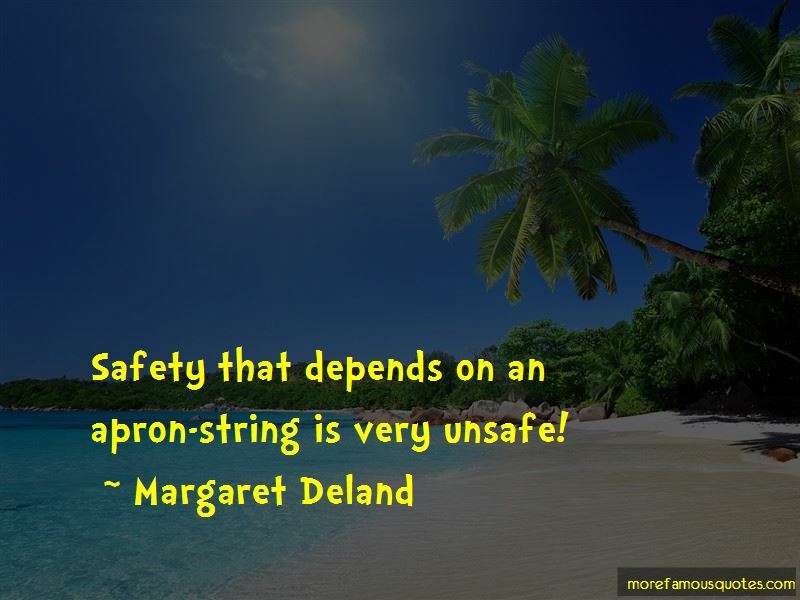 Safety that depends on an apron-string is very unsafe! A great moment raises most of the people who experience it, to its own level; and that is why they do not always recognize its greatness - or their own. I'm not to blame for an old body, but I would be to blame for an old soul. An old soul is a shameful thing. It's better to be crazy on one point and happy, than sane on all points and unhappy. As everybody knows, truthfulness and agreeable manners are often divorced on the ground of incompatibility. 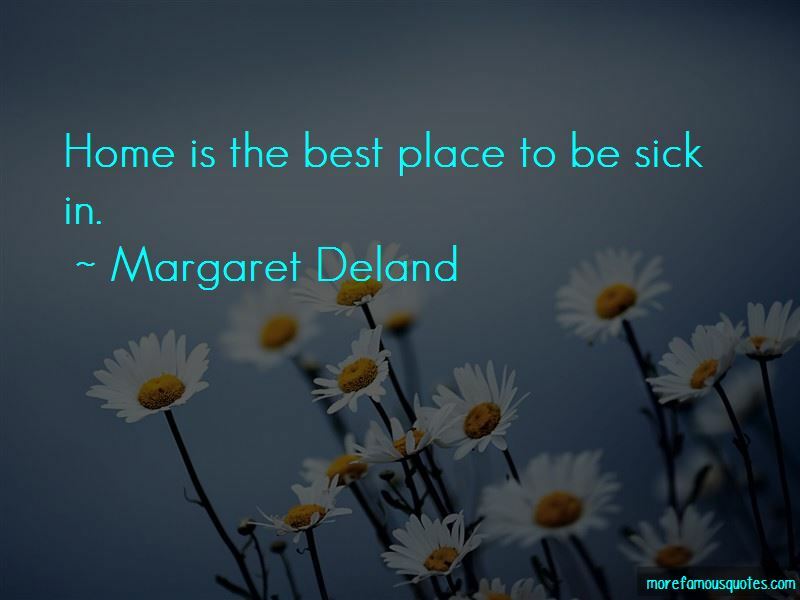 Want to see more pictures of Margaret Deland quotes? 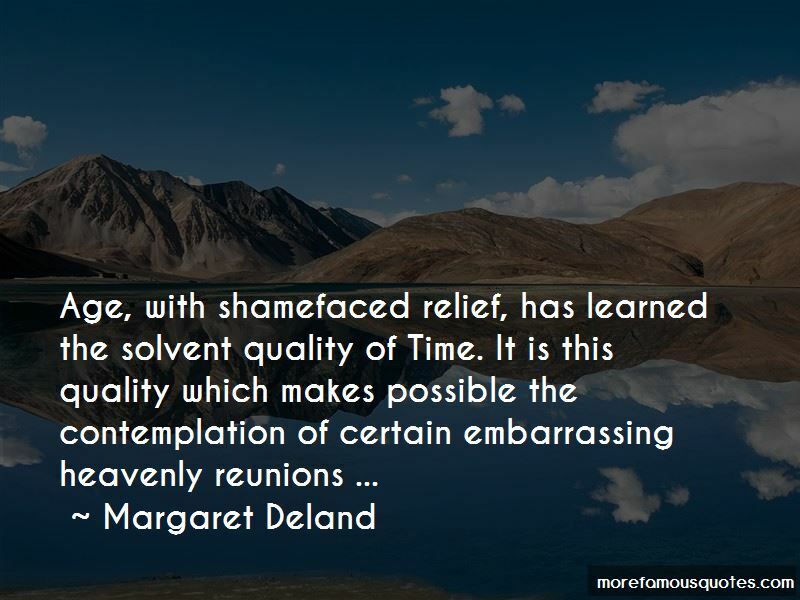 Click on image of Margaret Deland quotes to view full size.